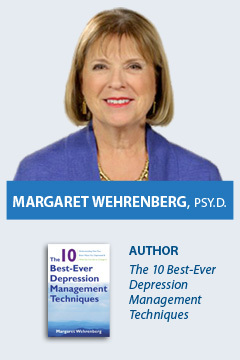 In The 10 Best-Ever Anxiety Management Techniques, Margaret Wehrenberg, Psy.D presents the most useful psychotherapeutic approaches to generalized anxiety, panic and social anxiety. Via discussion, practice in the seminar, and concise client examples in all age groups, you will learn methods to manage anxiety that work in every clinical population. Even experienced clinicians will come away with tools to help clients resolve their anxiety symptoms. Drawing on the latest research for the neurobiological basis of anxiety to explain why psychotherapy is so effective, Dr. Wehrenberg demonstrates comprehensive techniques to stop rumination, eliminate panic and prepare people to participate in social environments without distress. Among the 10 Best-Ever Anxiety Management Techniques are methods that manage the physiological aspects of anxiety: stress, the dread and agitation of generalized anxiety, panic attacks, and the nervous system-based blushing, sweating and shaking of social anxiety. You will get information about ruling out causes of anxiety and physical conditions that mimic anxiety. Describe neurobiological basis of anxiety and the implications for why and how psychotherapy works to use the brain to change the brain. Dealing with Stress That Creates Anxiety Disorders: 4 competencies to prevent or recover from stress damage and eliminate it for good! Fear Based Anxiety Disorders: Panic and Social Anxiety. Apply the panic reduction protocol “Prevent Panic” and the “3 Cs for Effective Exposure” to eliminate social anxiety.To include mindfulness techniques, interoceptive exposure, and eliminate panic triggers. Model effective use of diaphragmatic breathing techniques and relaxation methods that reduce both physical and mental tension. Apply the most effective cognitive interventions to reduce persistent rumination (Erase the Worry Trace) and stop worrying over real or potential problems. Utilize cognitive therapy interventions with clients to manage perfectionism, procrastination and rigid approaches to problems. Explore the basis of phobias and basic approached to desensitize phobia, including health anxiety. Effectively enable socially anxious clients to face their fears and improve their participation in life, challenging false beliefs and successfully engaging in social environments.